Take a normal, everyday garden variety Lancer, and give it a shot of steroids, some gamma ray radiation, and arm it with superhero technology. You’ll end up with the Lancer Evolution, and in this case, the Evolution 8 MR. 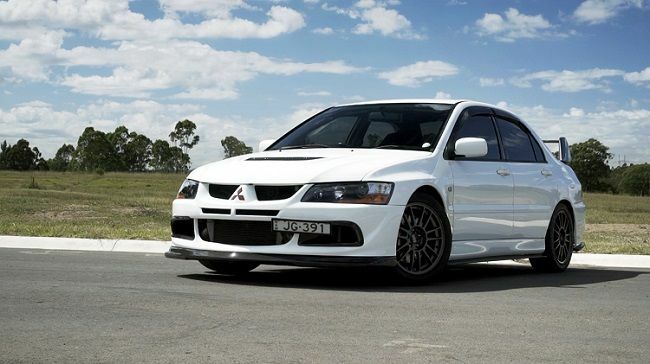 Thanks to motorsports, the Mitsubishi Lancer Evolution exists. Back in the early 90s, participating car manufacturers in Group A of World Rally Championships had to produce 5000 road going versions of their competition cars due to homologation rules. Mitsubishi was one of them, and the first Lancer Evolution featured a turbocharged two litre engine and a wickedly intelligent all-wheel drive system. The cars proved so popular that Mitsubishi continued making them. And with every Evolution, the car got bigger, meaner, and faster. With the Evo 4, 5 and 6, Mitsubishi swept four World Rally Championships in a row, cementing the car’s legendary status. The 8th Evolution has packed even more technology into the AWD drivetrain, more firepower under the bonnet, and other chassis improvements, such as a lightweight aluminium roof, front fenders and bonnet for weight reduction. The wing has been tweaked for more downforce, and what Mitsubishi engineers call a vortex generator has been mounted on the roof to allow the wing to work more efficiently. Inside, it’s all business. The standard Recaro seats bear hug your body, so you are properly seated for the duration of the performance. A slick, mechanically notchy six speed gearbox on the left and a Momo steering wheel ahead of you provides the necessary controls for this rally bred road missile. The entire driving position is focused, so it doesn’t distract you from the task at hand, or noticing the rather pedestrian interior. Under the bonnet lies the tried and trusted 4G63. Its roots can be traced back all the way to the first Evolution, displacing the same two litres of force fed air. It’s been updated with a more efficient turbocharger, exhaust and intake, reaching its monstrous power band at 3000RPM. Channelling the power through a very clever all-wheel drive system, the Evo 8 MR makes it easy for the driver to just get on the power through the corners; it will simply just grip, and go. A rally bred road racer like the Evo 8 MR requires weapons grade stopping power, and Bendix’s Street Road Track brake pads are more than up to the task. The Street Road Track brake pad is an ultra-high performance brake pad for the road going race car. With its high friction mu and extreme tolerance to heat, the Evo can go hard and stop harder, every time. 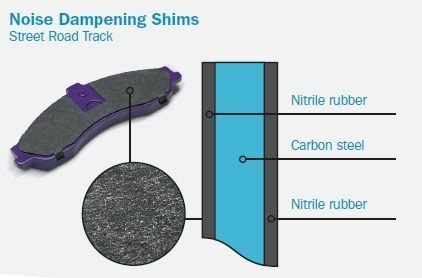 The specially developed shims reduce heat and noise, enhancing the Street Road Track performance on the track, and useability on the street. 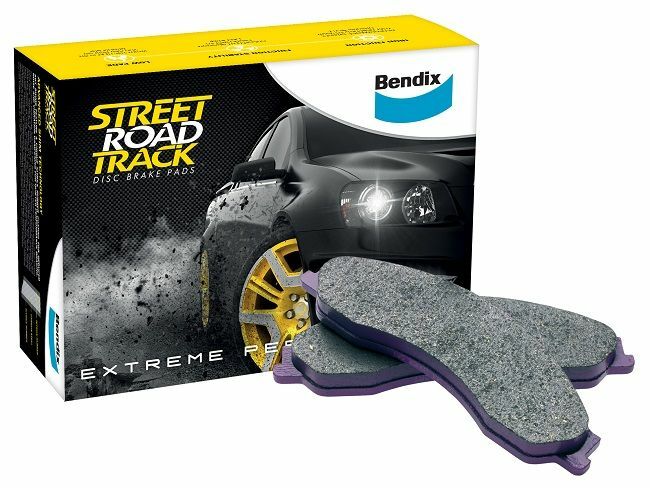 Find out more about the Bendix Street Road Track brake pad HERE. To find your nearest Bendix stockist, click HERE. For the latest Bendix news and updates, visit our Facebook page. While I think they are a great performance car, that body style is way past it's use-by date. I wish they'd put a new skin on them. Um...thats an 8 yeah, they are up to 10 and now discontinued. Love all the EVO's, cool cars. All times are GMT +11. The time now is 02:37 AM.